If there’s one thing I’ve learned as a makeup artist: When working on photoshoots, creme is your new best friend. 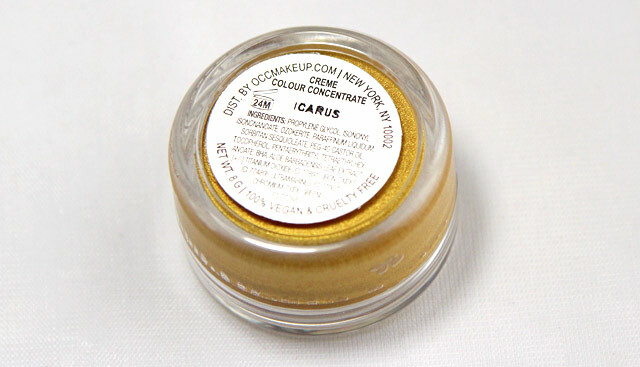 Creamy products make your models look like angels, hopped onto the #120 flying bus to earth. Where powder can look cakey and lose its power on picture, with cream what you see is what you get. 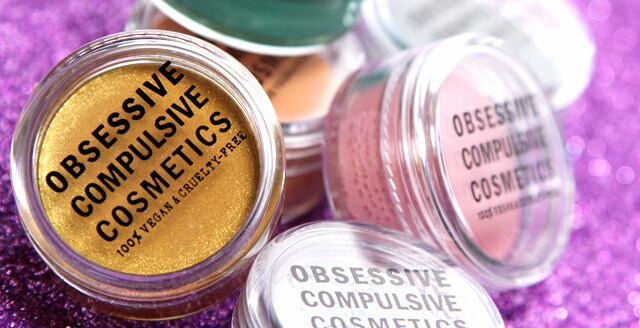 One of my favorite brands O.C.C came out with twelve new Creme Colour Concentrates: A smooth, blendable, buildable creme coverage product that’s gorgeous on eyes, lips and cheeks or wherever saturated, creamy colour is desired..
O.C.C’s Creme Colour Concentrates come in the same pot as their concealers. I love that they are see-through, making life so much easier when searching for the color you need. However, with my O.C.C Skin Concealers the lids of these pots broke very easily. Great packaging, but I wouldn’t call it durable heaven. First up: “Icarus”. 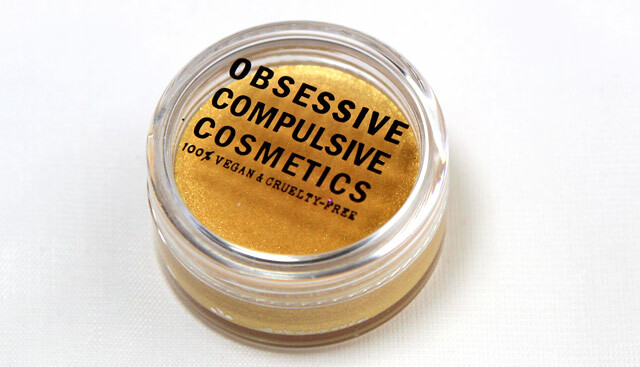 A beautiful true yellow gold color, perfect for a high fashion gold pop on the lid or cheekbones for my dark skin-toned babes out there. In the mean time the only thing I can think of is Bastille’s song “Icarus“. My favorite of the entire bunch. Such a fresh and happy color! 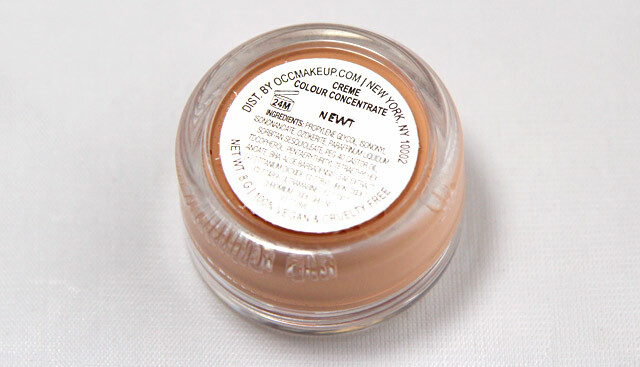 “Newt” is deliciously creamy, pigmented and easy to apply. 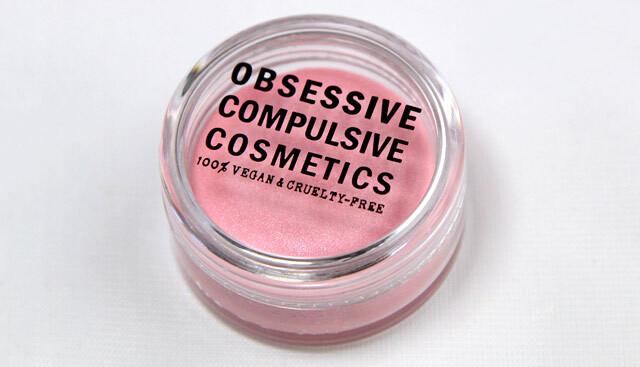 Amazing as a blush or lipstick! Little warning: it does come out much more pink and deep than expected, as it looks like a pale peach in the pot. This frosty, pearlescent pink is too cute for words. I can totally see a little brat from hell on “Toddlers and Tiaras” rock this. Don’t judge me, haha. 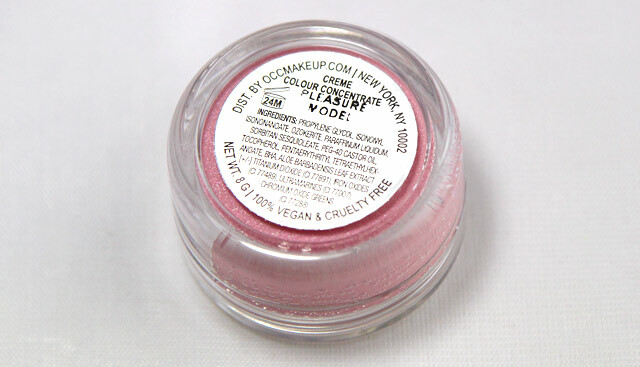 “Pleasure Model” is nice and soft making it perfect for a dewy cheekbone highlight. 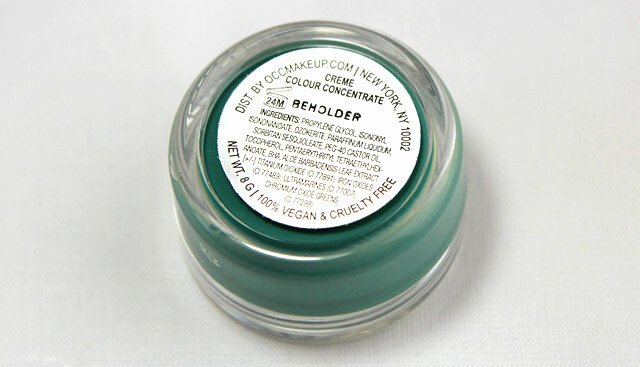 “Beholder” is a beautiful true teal color. 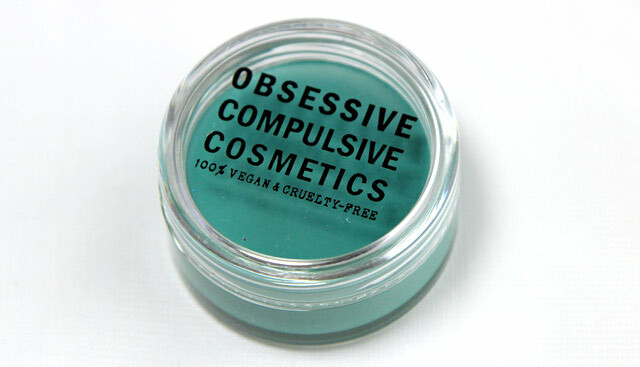 Use it as a pop of teal cream on dark smokey eyes, apply to lips to be a true teal-lip hipster or go fashion cray-cray and brush some through your brows to sort of get this effect, but teal. *Makes outrageous alarm sound* Can we say “HELLO, Perfect inner corner hightlight!”. This is metallic silver realness. 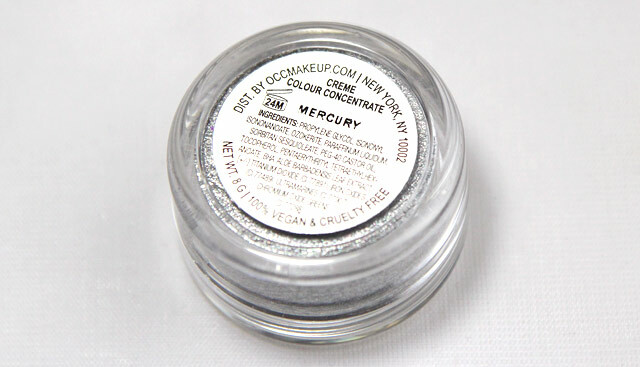 The amount of possibilities you can use “Mercury” for is countless. 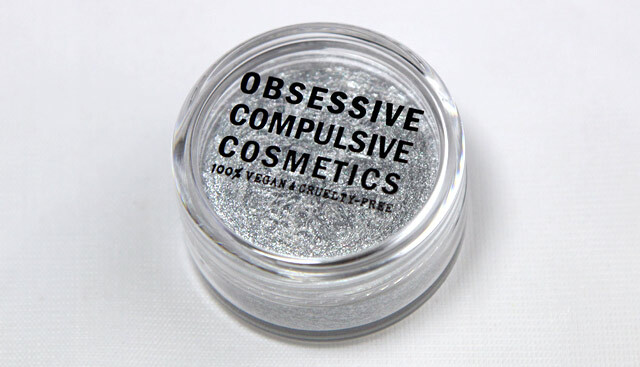 Can’t wait to slather this all over my models’ inner corners. A beautiful very, very dark grey. O.C.C says it has some green in it, definitely can’t see that one, but if O.C.C says it’s green, green it is. 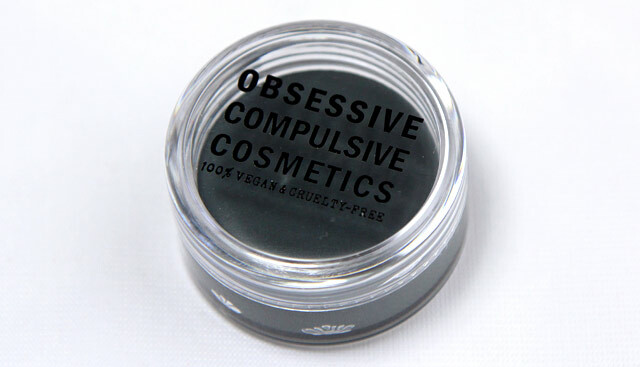 This colors is a must if you don’t own a black/dark grey cream product yet. 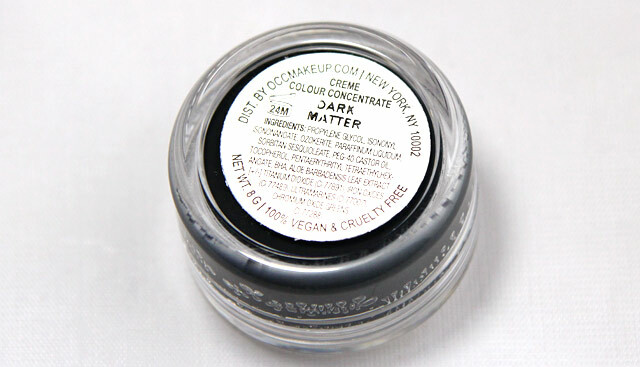 “Dark Matter” can be used for about anything: brows, lips, eyes, face… you name it! Great addition to the collection. ↑ Move cursor over picture to view product name! good their stuff is. Their pigmentation, colors and just overall feeling is spectacular. These Creme Colour Concentrates are no different. They are pigmented, don’t have an unpleasant smell and just their entire quality is heavenly. 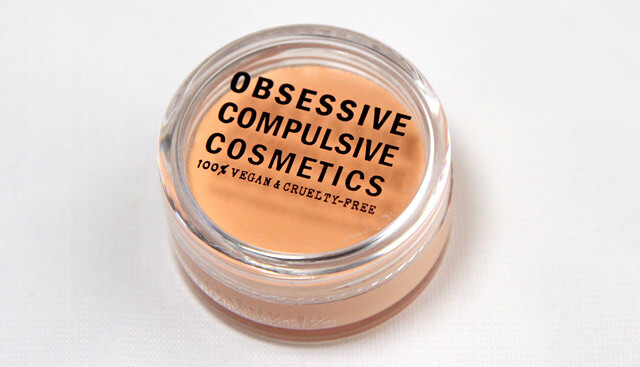 So, if you’re in need of some good quality creme products, O.C.C is one of your best bets. Also O.C.C’s team is too lovely for words and I wish them all the love, support and luck in this world. Wauw, wat een kleuren en pigmentatie! Love the colors and the creamy finish! I definitety need some of those! How are these Creams lasting? 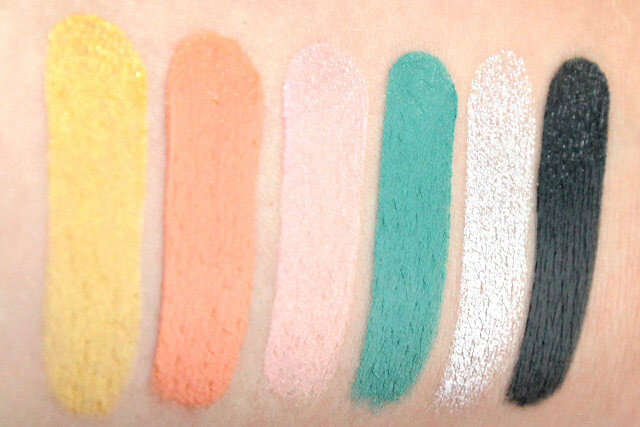 Are they hard to wipe away, like these Maybelline Color Tattoo Eyeshadow things? Do they crease on the lid? Wat een mooie kleuren, vooral newt en pleasure model erg mooi! Love it! Wat een prachtig pigment. Die koraal kleur is mijn favoriet!